Rennes is the regional capital of Brittany has an air of dynamism with the emphasis on culture. 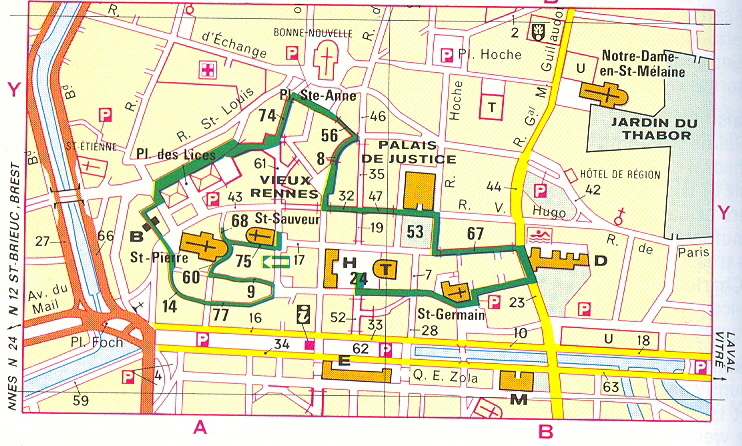 Rennes has also preserved its narrow and twisting medieval streets. They miraculously survived a huge fire in 1720. Its two royal squares, public buildings and numerous grand residences give the city an elegant solemnity.